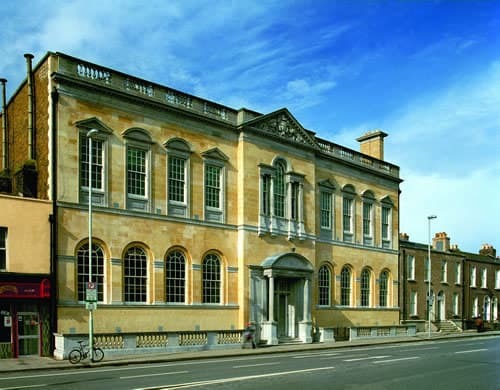 Pearse Street Library – Duggan Brothers Ltd. This project consisted of the refurbishment of the existing library along with the adjoining two Georgian Houses and the construction of a four storey over basement extension at the rear of the main library. Included also were associated demolition works and some substructure works below ground water level.The structural frame for the extension was in situ reinforced concrete with tanked basement. The rear elevation was clad with a combination of aluminium curtain walling, aluminium screens and stacked bonded brickwork. 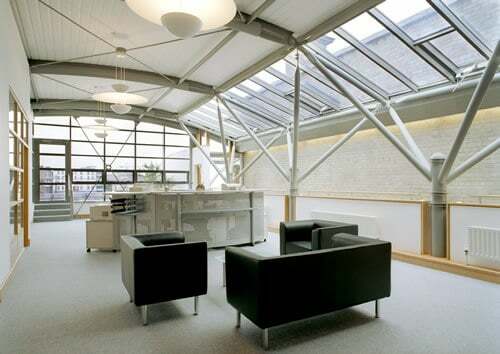 The roof consisted of standing seam kalzip sheeting fixed to curved structural hollow section steel rafters. 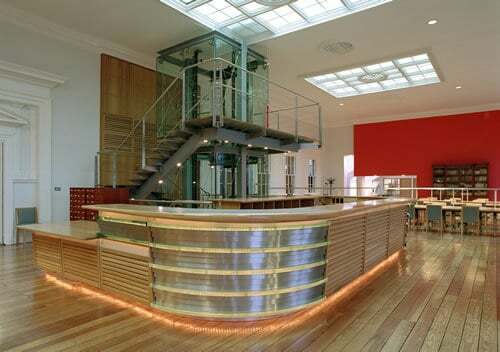 A feature of the refurbished library is the glazed panoramic lift. The existing stone facing to the Pearse Street elevation was cleaned, repaired and repointed. Interactions with Community groups: Initial meetings were held in the library to inform the residents on the project and to discuss perceived problems. 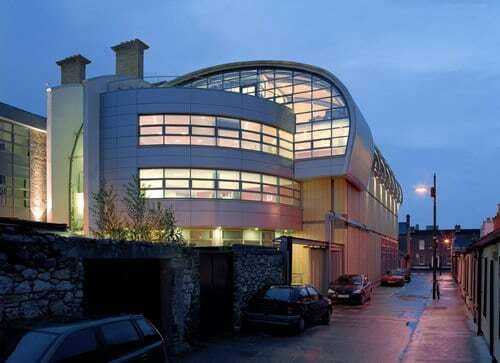 These meetings were attended by the Residents, Duggan Brothers Contracts Director, Site Manager, Library staff, the Project Architect and Dublin City Council Architect. Our site manger developed close relationships with the residents enabling immediate communication of and response to problems. Minor repairs were carried out by Duggan Brothers on an ongoing basis as a quid pro quo for inconvenience and dust problems. Token gifts were made at Christmas time in the interest of community relations. Environmental issues: A very intensive regime of road washing and spraying was implemented in order to keep dust to a minimum. Particular noisy or intrusive operations were carried out at the least disruptive time for residents in the area.